I posted a new video to youtube today. It's the first one since the end of July. (I was on holiday). Today is September 24th 2018. Yahoo, back at it again!! I felt a bit rusty but it got easier as I kept filming. There's more to come, of course. 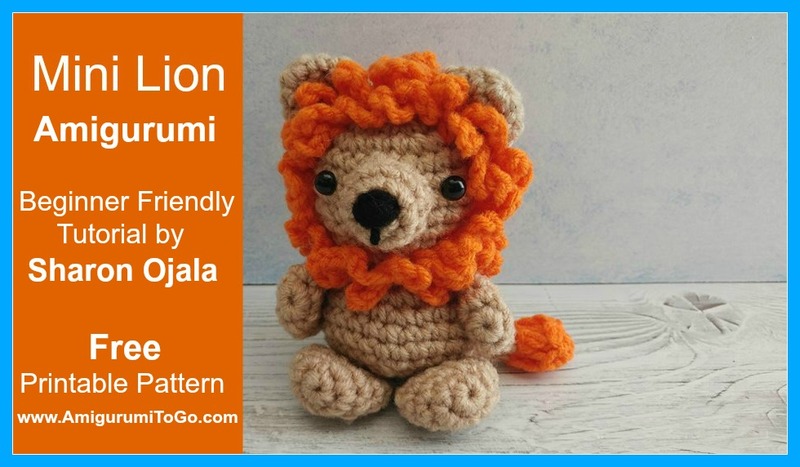 I have 3 new written patterns up from this Mini Safari Friends series. An Elephant, Giraffe and this Lion you see pictured. I'm hoping these ones will find their way into hanging mobiles. They are the perfect size for that. Anyway, here's the new Lion video.